Hillcrest Cavaliers is located in Northeast Kansas on a beautiful three generation ranch, close to the Nebraska Border. Our business was established in 2002 when our first Pekingese dogs joined our family. 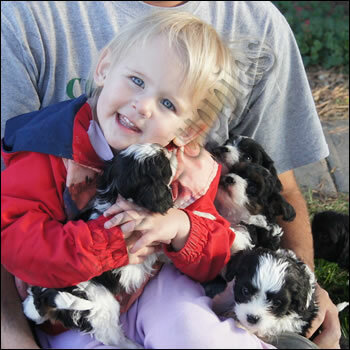 Our canine family now includes Designer breeds (Cavachon, Cavapoo, Cavatzu and Shihpoo). Our puppies are raised in a caring environment so they can grow into friendly and sociable adult dogs. Our goal is to raise fun loving playful companions not show dogs. We provide a one year health guarantee against genetic defects. We look forward to helping you find the perfect canine companion for your family.